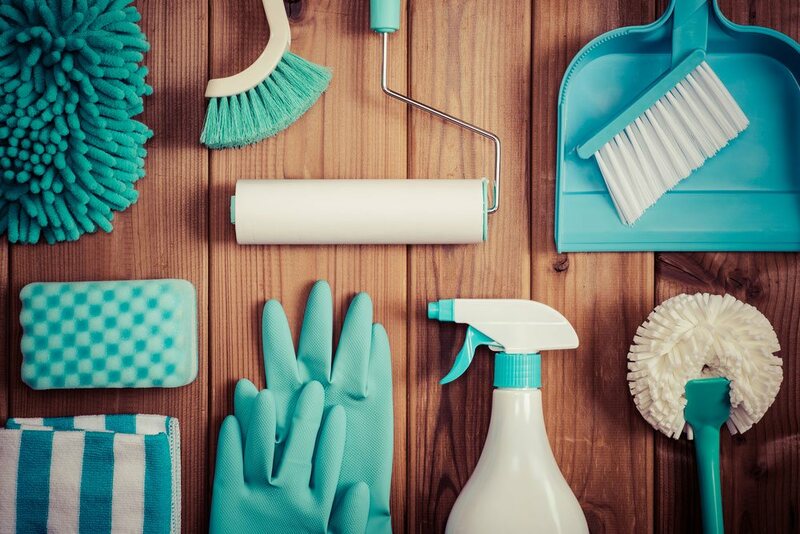 Think you could do better at keeping your home clean? 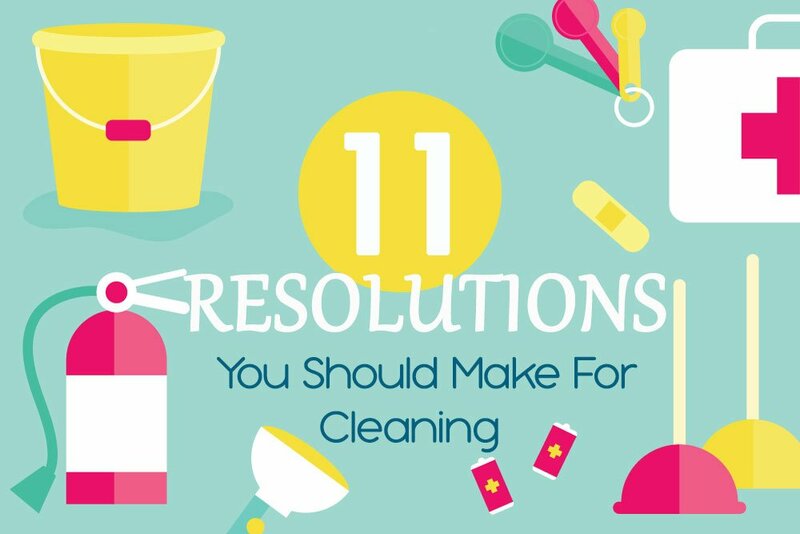 Check out the cleaning resolutions you can actually stick to. Summer is well and truly underway, meaning it’s the perfect time to set yourself some realistic cleaning goals. Okay, so it’s only September, but who said you can’t make cleaning resolutions at any time of the year? You guessed it. No one. And, even if you absolutely detest cleaning your living quarters, you can’t ignore the fact that it’s a necessary evil nonetheless. Thankfully, all it takes is some small changes to stay organised and make your domestic life stress-free. Here are 11 cleaning resolutions that are easy to stick to and work into your weekly routine. Don’t bother making the bed in the morning? Well, you should be doing it every single day. Making your bed will lead to good cleaning habits and in turn, help you keep on top of things. It basically causes a domino effect and encourages you to keep your whole bedroom tidy, as well as the rest of your home. Plus, it will set a good impression for your children and inspire them to do the same. Not only will making your bed make your room look tidy and finished but it can also prevent dust from getting underneath your duvet cover. Believe it or not, your bed is a target for dust, so you need to do all you can to keep it at bay. Note: According to the National Sleep Foundation, you’re 19% more likely to get a good night’s sleep when you make your bed every day. Nice! You may not be aware of this but closets accumulate dust and dirt, which means you should be cleaning them on a weekly basis. Your clothes, bed linens and towels shed tiny fibers pretty much every day, leaving a whole load of dust on your closet shelves and floors. Sadly, you can’t stop fibers and fabrics from introducing dust to your home but you can cut down the dust they leave behind. Go through your closets and throw out or donate any items you no longer wear or use. For the items that you want to keep on shelves, store them in clear plastic containers to enable you to see what’s inside. Plastic containers are also really light and easy to lift off shelves, making life easy when cleaning. If you have any seasonal or occasional clothes hung up on closet rails, store them in garment bags or big trash can sacks so they stay dust-free until you next wear them. When it comes to actually removing the dust from your closets, make it a weekly ritual. Dust the shelves with a microfiber cloth and use a vacuum on the floors. You only need to declutter and give your closets a deep clean twice a year to keep everything a bit more organized and fresh. Before taking out the trash, get into the habit of going through your refrigerator to check for any items that are out of date or no longer look good enough to eat. If there are any, throw them in the trash before taking the bag outside on trash day. This way, your fridge won’t ever end up smelling bad and you’ll always know what items need to be replaced. At the same time, make a mental note of anything that needs to be consumed within the next day or two to cut down on food waste. Hands up if you only give your bathroom some attention every two weeks or once a month. If your hand is in the air, then you need to listen up. 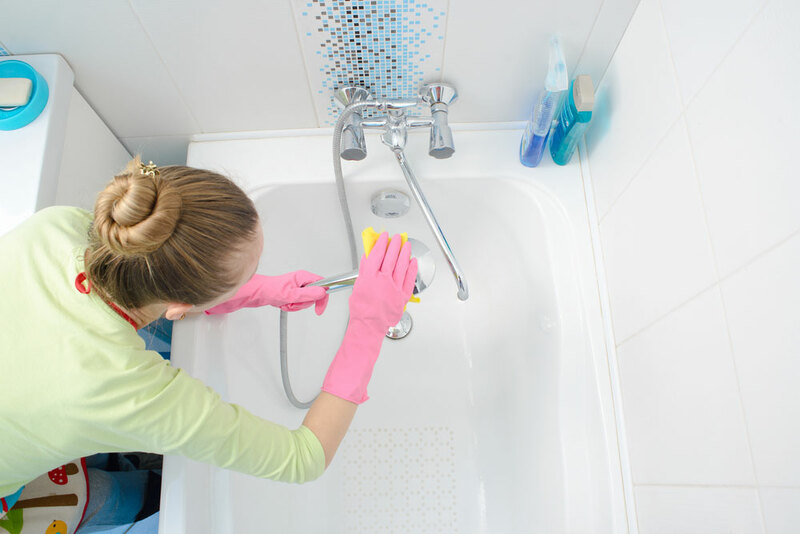 When you clean the bathtub, sink, toilet and wall tiles only once every few weeks, you’re actually making the job a lot harder than it needs to be. However, when you get your cleaning gloves on every week, you should be able to get your bathroom fixtures sparkling in a mere 15 to 20 minutes. Regular bathroom clean-ups are a lot less challenging and help to prevent bacteria, mold, mildew and scum from building up. While it may be one of your least favorite rooms to clean, it will become so much easier when you stay on top of the dirt instead of letting it get ahead of you. Whatever your chosen cleaning tools may be, they need to be cleaned every now and then to ensure they stay in tip top condition. For example, you should rinse mops and scrubbing brushes in hot soapy water and leave them outside (if it’s not raining) on some newspaper or an old cloth to dry thoroughly. If you use wooden brooms, give them a good shaking outside to remove any debris and dust. As for dusters and cleaning cloths, make sure you buy washable ones so you can chuck them in the machine with your next load of washing. Feather dusters can also be taken outside for a shake or you can soak them in some warm soapy water and leave them to air dry while hanging upside down. Note: Make a cleaning tool organizer by putting together a load of cleaning tools in a caddy or bucket and leave one on each floor of your home. You can carry all your necessary supplies from room to room with ease and without having to keep going back and forth to the cupboard. There are no exceptions here. You should make it a rule for every member of your household (and guests) to remove footwear at the door. Taking off your shoes will make it much easier to keep your floors clean and cut down the amount of dust and dirt bought into the home. To collect debris and keep things looking extra tidy, put a mat at the door for all your shoes. Alternatively, purchase a shoe rack, which can be left in the hallway or in a cupboard. You may already do this, but if not, it’s a great way to cut back on the amount of trash that accumulates in each room. 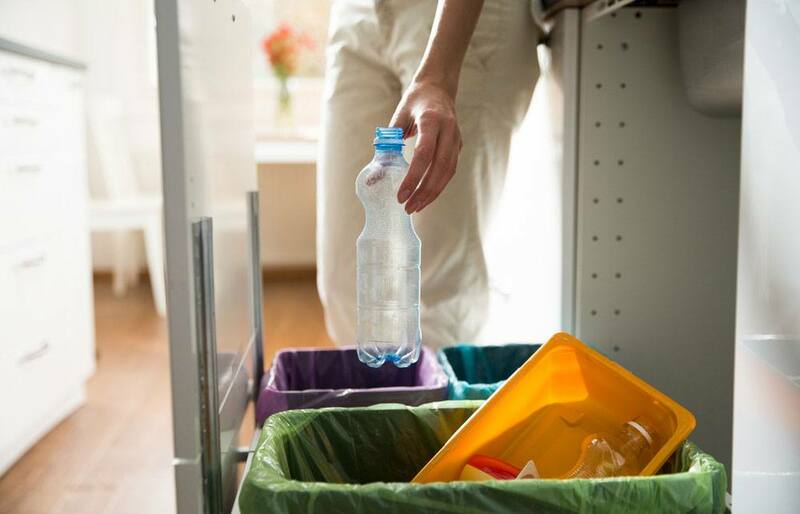 Plus, keeping a small waste bin in each space will encourage everyone in your home to throw food wrappers and all kinds of trash in the bin rather than just chuck it on the floor. It also means less mess to pick up when doing your weekly clean. It feels wonderful to give to others, so why not go through your home and donate anything you don’t use or need. 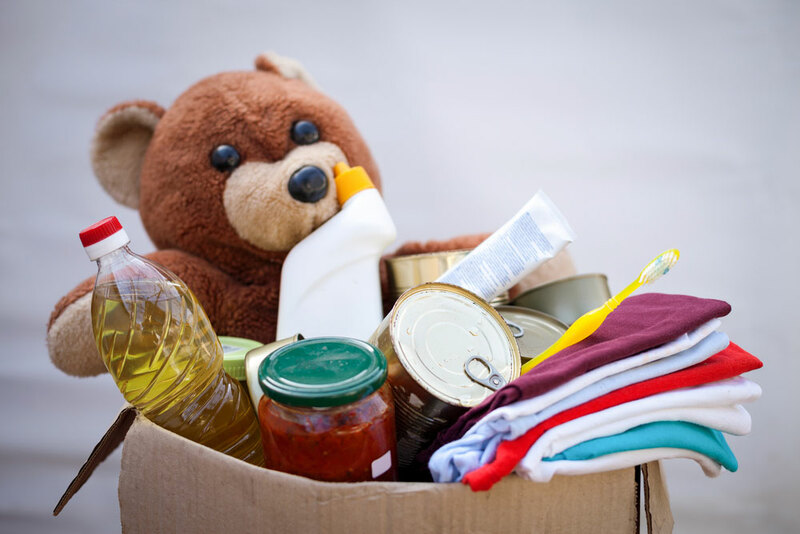 You can put a donation box or tote in each room or floor, and get everyone to go through their stuff to see if they have any unwanted clothes, toys, gadgets or even canned goods that someone else might really appreciate. This is a fantastic cleaning resolution to make as you’ll not only be doing something nice for others less fortunate but donating some of your belongings will also help to cut back on clutter. You’ll certainly find it easier to clean your home in future too. It’s win-win. The only way you can do this is by cleaning your four legged friends’ litter tray every week. There’s no point in simply adding more litter sand or crystals on top of the old stuff because the rather potent odors will linger and the soiled areas left unattended will become more difficult to clean. You can clean your pets litter tray with some warm soapy water, but remember to let it soak for a while. If it still smells after this, pour some distilled vinegar into the tray, let it soak for around 20 minutes and scrub it clean. Note: Buy some litter tray liners for a more convenient and hygienic way to clean up after your pet. Highly absorbent and scented padded liners are best for keeping the tray stain-free and the surrounding area smelling fresh. It’s much easier to stick to your cleaning resolutions when you have a schedule in front of you. You’ll also be less likely to make excuses not to clean when you plan which days will be devoted to which tasks. Oh, and always try to set realistic goals to ensure success every week. You could decide to clean the kitchen and living room one day and the bedrooms and bathroom another day. Maybe you prefer to vacuum and mop all the floors in one go and dust and clean the furniture on a separate day. Whatever you decide, make sure your schedule is always manageable and achievable. Whether you live with your family or a few of your friends, make cleaning your home a group effort. Cleaning and picking up after the entire household shouldn’t be a one person job, so start motivating everyone else to do their bit too. Include all names on the cleaning schedule to ensure each person has an equal share of the work but remember to assign age-appropriate tasks. If you have toddlers, get them to do small things, such as make their beds, put away toys, wipe up any spills and load plastic items in the dishwasher. 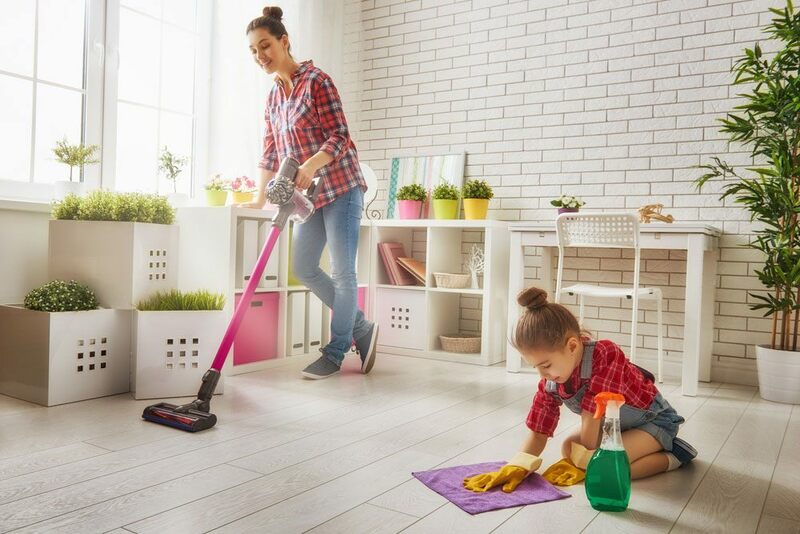 All teenagers are perfectly capable of cleaning their own bedrooms and helping out with dusting, vacuuming and cleaning all areas of the home. Find it tricky to motivate your brood? Make house cleaning fun by awarding a prize to whoever does the best job. There you have it. 11 small cleaning resolutions to make your humble abode a happier and healthier place to live. They’ll also make cleaning your house or apartment easier, as well as keep things neat and organized in the long run. 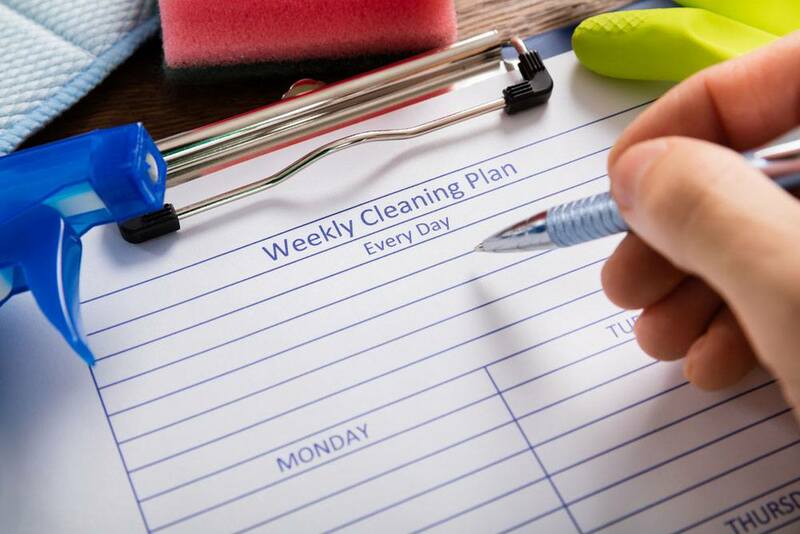 Just be sure to set up a routine house cleaning schedule and get everyone to adopt healthy cleaning habits to make housework seem less of a chore all year round.